Tendon adhesions or even secondary ruptures causing severe hand functional impairment still represent a frequent complication after repair of flexor tendon injuries. Secondary treatment of these problems includes tenolysis, one or two stages flexor tendons reconstruction by grafts or even the use of tendon prosthesis. 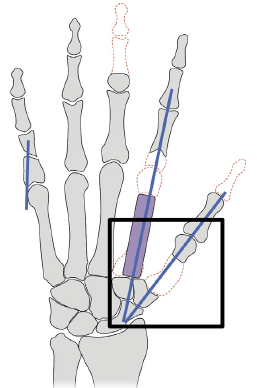 The mechanism and severity of injury, the status of the surrounding tissues and injured finger, the presence of associated lesions, the age of the patient, post-operative management, patient motivation and the surgeon^ skill, may all have implications in the final outcome of the tendon reconstruction. A correct evaluation of the problem by means of classifications such as the one described by Boyes, may help the surgeon in choosing the appropriate technique.